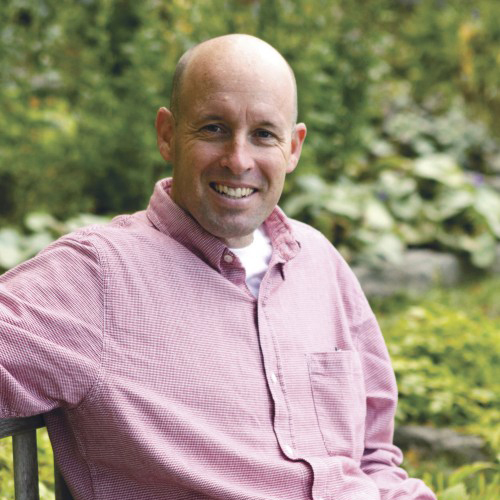 Darron Collins, Bar Harbor, ME is a 1992 graduate of College of the Atlantic (COA) and, in July 2011, became the seventh president of COA and the first alumnus to hold that position. Prior to coming back to COA, Collins had been managing international and domestic projects at World Wildlife Fund (WWF) for a decade. After four years of work in the Amazon Basin, he was asked to lead the organization’s strategic planning process. Then, during the later half of his career at WWF, Darron served as managing director for the Amur-Heilong Ecoregion—an area the size of Alaska, encompassing parts of Russia, Mongolia, and China—and as senior advisor to the organization’s CEO. Collins holds a PhD in anthropology from Tulane University. His doctoral research and academic work is based on the ethnobotany of the Q’eqchi’-Maya in northern Guatemala. He has also conducted investigative reporting of the Deepwater Horizon disaster in the Gulf of Mexico, worked on leopard conservation on the Russia-North Korea border, and has written, produced, and directed the award-winning documentary, “Amur River Basin: Sanctuary for the Mighty Taimen.” As a COA student, he received both the Barry M. Goldwater Scholarship – a competitive, national award given to outstanding student work in the sciences – and the coveted Watson Foundation Fellowship, funding a year of travel outside the United States. Fluent in Spanish and Q’eqchi’-Maya, Collins has numerous publications to his name, both in scientific journals and popular media. As COA president, Collins works to raise the profile, improve the quality of experience, and build the financial stability of the institution. Under Collins’s leadership COA finished a 32 million dollar capital campaign, the largest in the history of the college, and has become the top ranked school dedicated to the environment by both the Princeton Review and the Sierra Club. A native of Morris Plains, New Jersey, Collins is an avid fly-fisherman, cyclist, hiker, and trail runner. In the summer of 2015 Collins climbed 40 named peaks on Mount Desert Island in one single 27-hour expedition and continues to design and execute endurance adventures annually. He lives in Bar Harbor with his wife, Karen, their two daughters Maggie and Molly, and their black Lab named Lucy.